Listen to "Real Japanese Part 2" on your iOS and Android device. Unlike most Japanese language books that focus on formal and polite use, this introductory guide will help you to speak and understand Japanese as it is used in everyday life. 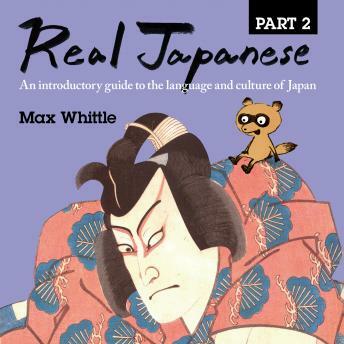 If you are studying, working or just travelling to Japan this book will help you to break down the language and culture into the real and everyday essentials. Use this guide to speak Japanese from day one, while also laying down a solid foundation for more advanced study and an appreciation of Japanese culture. The charming illustrations by Aya Shiroi (Aya's work is regularly on national TV in Japan) along with the culturally focused essays make the book easy and enjoyable to read, providing pauses from the sometimes-challenging process of language learning.